Does your current vendor guarantee that your wire straightening rolls will line up every time? Sjogren does with its unique alignment marker. A feature found only on Sjogren rollers, the alignment marker assures the operator that the wire’s centerline is maintained exactly from one roller to the next. The Sjogren alignment marker accounts for variations in bearing width and makes it easy for the operator to identify the correct way to mount replacement rollers to maintain tolerances. Having and holding the centerline guarantees your wire doesn’t scratch or bend. This a vital component of productivity and profit! All Sjogren straighteners use our unique grooved rolls: machined to exact specifications and featuring our alignment marker, which assures the assembly maintains a precise wire centerline. 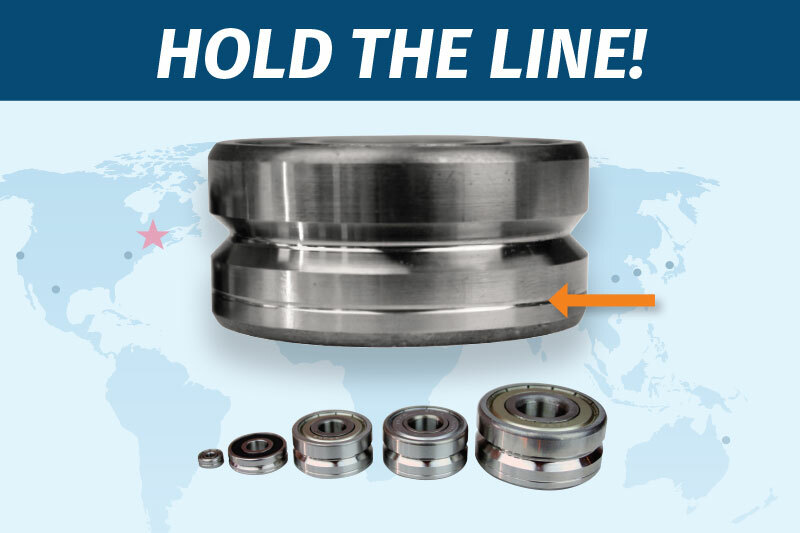 No matter what manufacturer’s straightener assembly you currently use, Sjogren can provide you with replacement grooved rolls that will work in your current configuration. Any size roller, any shape groove, any quantity — including short runs. Fore more information on our innovative product line, visit us at Sjogren.com.